Matt Tenuta does not have any MLB stats for the season. 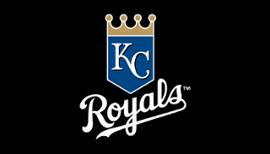 Draft: 2012, Kansas City Royals, 25th rd. March 31, 2019 LHP Matt Tenuta assigned to Tacoma Rainiers from Arkansas Travelers. 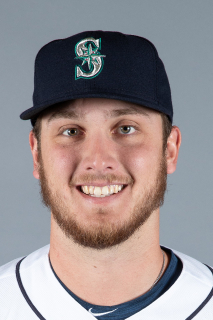 January 24, 2019 Seattle Mariners invited non-roster LHP Matt Tenuta to spring training. June 30, 2018 LHP Matt Tenuta assigned to Arkansas Travelers from Tacoma Rainiers. May 28, 2018 LHP Matt Tenuta assigned to Tacoma Rainiers from Arkansas Travelers. April 7, 2018 LHP Matt Tenuta assigned to Arkansas Travelers. April 1, 2018 LHP Matt Tenuta assigned to Arkansas Travelers from Tacoma Rainiers. March 23, 2018 LHP Matt Tenuta assigned to Tacoma Rainiers. March 22, 2018 Kansas City Royals traded RHP Ashton Goudeau and LHP Matt Tenuta to Seattle Mariners. October 10, 2017 LHP Matt Tenuta assigned to Surprise Saguaros. August 3, 2017 LHP Matt Tenuta assigned to Northwest Arkansas Naturals from Wilmington Blue Rocks. May 29, 2017 LHP Matt Tenuta assigned to Wilmington Blue Rocks from Northwest Arkansas Naturals. April 3, 2017 LHP Matt Tenuta assigned to Northwest Arkansas Naturals from Wilmington Blue Rocks. April 6, 2016 LHP Matt Tenuta assigned to Wilmington Blue Rocks from Lexington Legends. July 31, 2015 LHP Matt Tenuta assigned to Lexington Legends from Burlington Royals. June 27, 2015 LHP Matt Tenuta assigned to Burlington Royals from AZL Royals. June 25, 2015 LHP Matt Tenuta assigned to AZL Royals from Lexington Legends. June 24, 2015 Lexington Legends sent LHP Matt Tenuta on a rehab assignment to Burlington Royals. May 6, 2015 Lexington Legends placed LHP Matt Tenuta on the 7-day disabled list. April 1, 2014 LHP Matt Tenuta assigned to Lexington Legends from Idaho Falls Chukars. August 26, 2013 LHP Matt Tenuta assigned to Idaho Falls Chukars from Burlington Royals. June 17, 2013 Matt Tenuta assigned to Burlington Royals from AZL Royals. June 13, 2012 Matt Tenuta assigned to AZL Royals. June 6, 2012 Kansas City Royals signed LHP Matt Tenuta.